Simon Hopkinson is a food renegade and has dedicated his life to searching out the best recipes – I can get into that! There is a refined approach to the recipes selected for Roast Chicken and Other Stories. They are sorted using basic ingredients and are lovingly crafted. In the introduction of the cookbook, Hopkinson expresses the learning curve he needed to go through in order to write recipes in a precise manner. I have a strong desire to teach people how to cook intuitively – so I can see where Hopkinson is coming from! He balances the restriction he feels in writing recipes by making each chapter of this cookbook a general introduction to one of his favourite ingredients in so far as to say what the ideal way of cooking the meat is. Below I show you two of the recipes of his that I've made from Roast Chicken and Other Stories. Be sure to check out his discussion of his work with Ballymaloe's own Rory O'Connell. Heat the butter until pale nut-brown and add the onions. Stew gently until gooey and golden brown – this can take up to 1 hour. Add the tomato puree and continue to cook until the tomato puree has lost its bright red colour and has turned rusty. 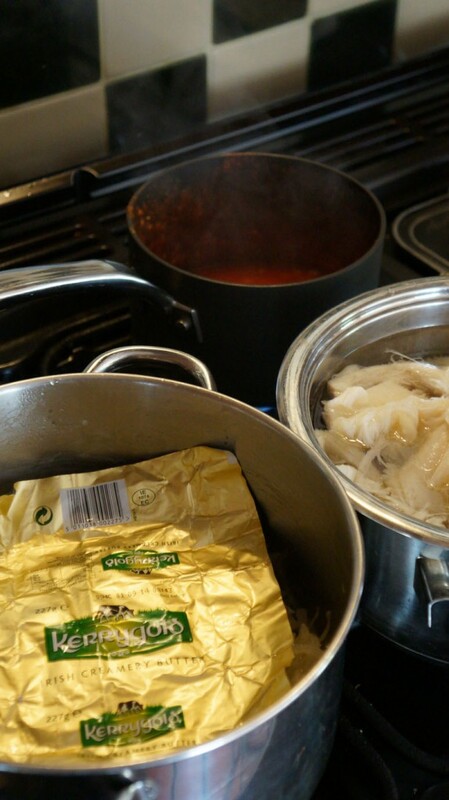 Put the tripe in a pan, cover with water, bring to the boil, drain and cut into thin strips. 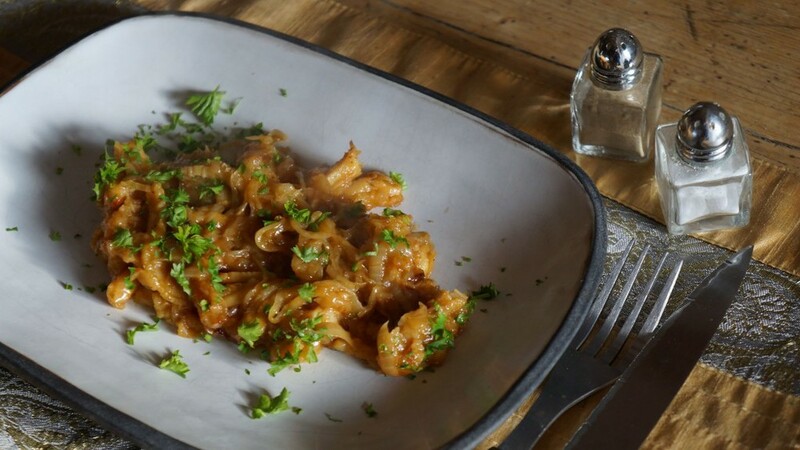 Turn up the heat and fry vigorously so that parts of the onion and tripe become burnished. Add the vinegar and allow it to burn off most of its harshness. Stir in the meat glaze, and let the whole stew bubble fora few moments before adding the parsley. Serve immediately, piping hot, with plain boiled potatoes. 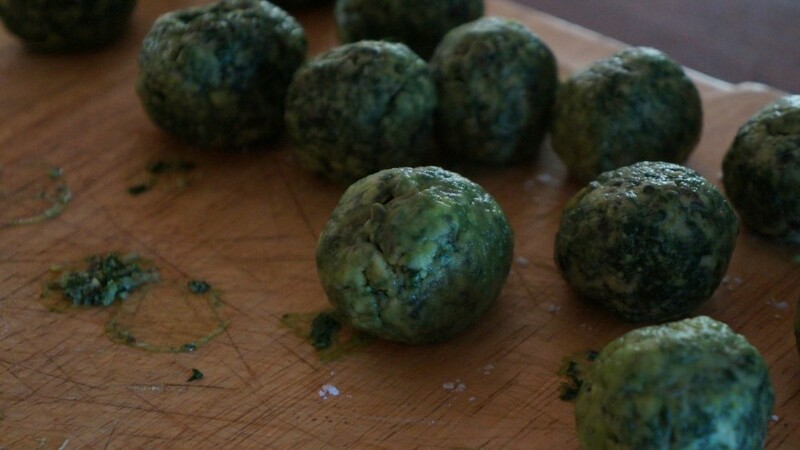 Blanch the spinach briefly in fiercely boiling water, drain, and refresh in ice–cold water. Squeeze in a kitchen towel until as dry as possible. 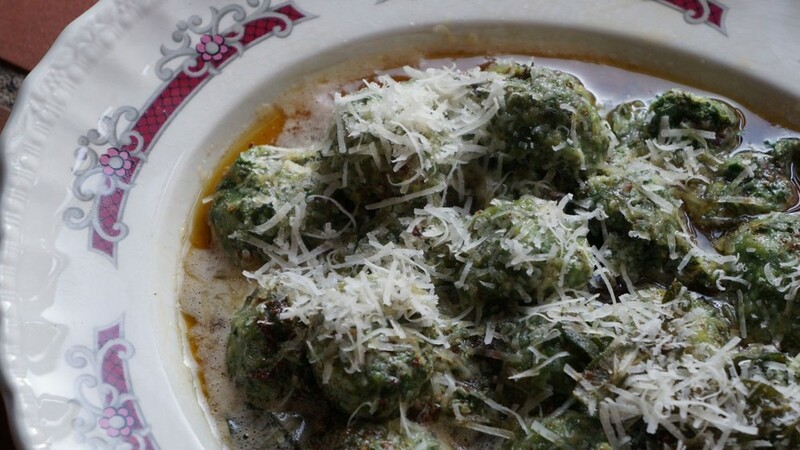 In a food processor, purée together the spinach, ricotta, egg yolks, 3 oz Parmesan, and seasoning. Spread out in a shallow tray, cover with plastic wrap, and allow to firm up in the fridge for a minimum of 3 hours. Using two teaspoons, form the mixture into little balls and roll immediately in the flour. 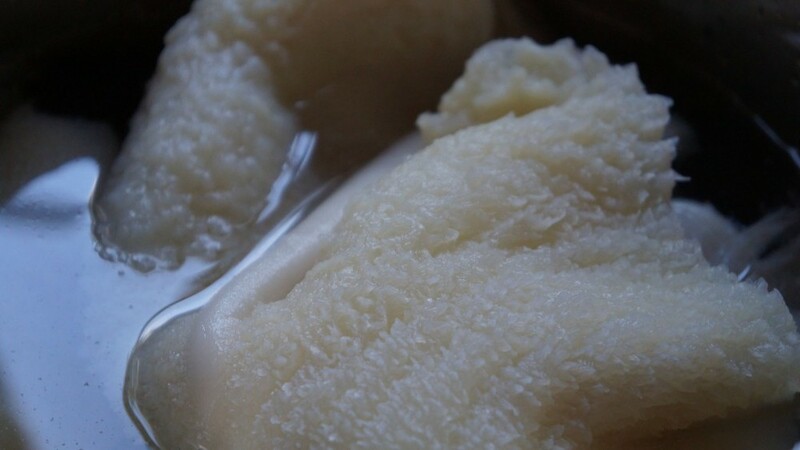 In a large pan, bring at least 3½ pints lightly salted water to the boil, and at a gentle simmer poach the dumplings, five or six at a time, and remove with a slotted spoon after about 5 minutes when slightly swollen. Transfer to a hot serving dish, cover, and keep warm. Melt the butter until nut brown, throw in the sage leaves, turn until evenly coated and slightly crisp, and spoon over the dumplings together with the butter. Sprinkle with the remaining Parmesan and serve with lemon wedges. Are there any ingredients you've been too nervous to cook? Try it for yourself and share your story!